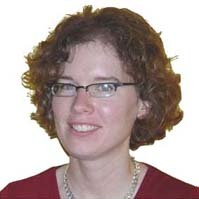 Professor Jennie E. Pyers, PhD. Prof. Jennie Pyers was first exposed to American Sign Language in the 70s when she was born to Deaf parents. After a foray into the non-signing, but very visual field of Art History, she was lured to the field of Psychology by Jill and Peter de Villiers, who offered her a job that did not involve washing dishes in the Smith College dining halls. Prof. Pyers received her Ph.D. in Psychology from the University of California, Berkeley, where she worked with both Dan Slobin and Alison Gopnik. Her interest in the language-specific effects on human cognition was ignited during a year-long visiting scholar position at the Max Planck Institute for Psycholinguistics in Nimegen. During her studies at Berkeley, the de Villiers introduced her to their former student Dr. Ann Senghas, a fellow Smithie (â€˜86), who had begun a faculty position at Barnard College and had started a project on the emergence of Nicaraguan Sign Language. Since 2000, Prof. Pyers and Dr. Senghas have been collaborating on projects in Nicaragua, examining the cognitive impact of learning an emerging language. Prof. Pyers examined the acquisition of Theory of Mind in learners of Nicaraguan Sign Language in her dissertation. After graduate school, she completed a two-year postdoctoral position at the Center for Research in Language at the University of California, San Diego to study the effects of bimodal-bilingualism with Dr. Karen Emmorey. She is currently an Assistant Professor at Wellesley College.